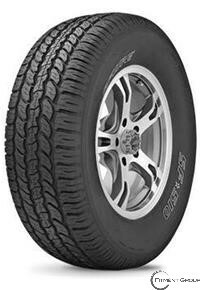 The modern highway tread pattern is for popular crossover, SUV and light pickup vehicles. Provides excellent year-round, all-season performance. Provides a smooth ride and comfortable handling. See-through grooves help disperse water and slush from the tread to provide dependable all-season traction. Computer designed to provide a quiet-running tire at highway speeds.